Today Google has launched an update for Chrome, bringing support for Daydream headsets including the View and the Lenovo Mirage Solo. Google today announced that Chrome for Android is getting an update that brings proper VR support to Daydream headsets. 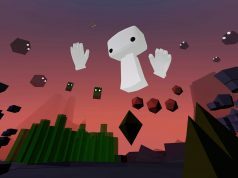 The update is available starting now; those using Android phones need only to update their Chrome app, at which point they’ll find the app ready to launch in the headset alongside their other VR apps. Users of the Mirage Solo will finally be able to find and install Chrome from the Daydream store inside the headset. 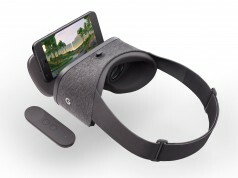 Technically, Chrome has been available to those using Daydream View headsets since September 2017, but the feature was largely hidden because it could only be launched by opening the browser on a phone in non-VR mode, and then sticking the phone into the View headset with the browser open; the Chrome app didn’t actually show up in the headset’s library of Daydream apps. The new version can still be launched in this way, meaning you can easily navigate to a webpage on your phone and then pull it up in VR mode by simply putting the phone into the headset. When it came to the Lenovo Mirage Solo though, the first standalone Daydream headset, the fact that it isn’t a phone meant that there wasn’t even a way to install Chrome in the first place, since the app wasn’t listed as a VR app in the Daydream app store, and the headset can’t access non-VR Android apps. The lack of a web browser on the Mirage Solo was odd given Google’s klout in the browser space, but thankfully with today’s Chrome update the app will now appear in the Daydream app store right inside the headset. The chrome app has shown up in Daydream home for months? It may have shown in the Daydream library after installing Chrome the non-VR Google Play store (I’m guessing this screenshot is from the View? ), but Mirage Solo users had no way to install it officially through their headset. Yes this is from a View/Pixel XL. Your comment about the Mirage Solo makes a lot of sense, I’ve only used one briefly, really liked the 6DOF tracking on the headset although the 3DOF remote felt like a jarring disconnect. Brave shows up for whatever reason. i think its because its a chromium app. You could always install Chrome Canary on the Mirage Solo for full WebXR experiences…. sketchfab.com, three.js etc. Just go to the Play Store on another device or desktop and choose the Mirage as the device to Install the app onto. This is barely news.